Model: HPVFV series Rated Voltage:400V/600V/1140V Rated Power:18.5kw- 400kw Frequency:50/60Hz Overload:150% for 60s,175% for 2s Start torque: Sensorless vector control 150% 0.5Hz Sensor vector control 200% 0Hz Features: Perfect protection function Over voltage, over current, low voltage, over temperature, over load, zero-sequence current, out of control Torque control Quick torque response for the changeable load low speed with high torque Starting output torque150% Reversing deceleration control Stop torque control No feedback device, correct torque control Synchronous run control Double speed run control PID control function Built-in PID control is mainly applied in the process control to control flow rate,temperature pressure etc. Through comparison given value and feedback value in the close-loop,the variable control can be realized by applying proportion, integral and differential.The PID process controller is added outside the speed control loop.Variable function can be realized even without PID controller and PLC outside the inverter.The PID compensation function can be applied in the control of scroll tension. Communication function Profibus,Modbus,RS485/232C,CAN -Monitoring function -provide communication program option -Fault trace Fault trace Preserve current,voltage,frequency, torque,etc. in 1 second trip Flying start Restart for deceleration load and instant power failure Auto tuning Automatic measurement motor parameters with simple operation, reflect the best function. Wenzhou Ziri Electrical Technology Co., Ltd.
General type frequency converter 0.75-375KW 380V 50/60HZ Three phase in and three phase out 0-400HZ. Optimized space voltage vector PWM modulation technology, has over-modulation function, high voltage-utilization, low output harmonic, and it greatly improves the motorí»s stability and switching loss. Good operation characteristic of low frequency, can realize 0.5HZ/150% rated torque output which under no-speed sensor mode. Short on time? Let frequency-converter sellers contact you. Big Pawer Electrical Technology Inc. Co., Ltd.
We offer car wash self-service complexes in 3 equipment assembly. We also would like to notice you that the Optimum configuration is the most popular equipment on the market of self-service car wash systems! What is included in the each equipment set? 1. Hawk high pressure systems (200 bar, 15 l / min, 380 V, 5.5 W kW, 1450 rpm, made in Italy) with dry run protection, mounted on a stainless steel frame. 2. Dosing pumps for the supply of chemicals Italy; 3. Monet-bill acceptors; 4. High and low pressure pipelines; 5. Stainless steel consoles for self-service washing systems; 6. 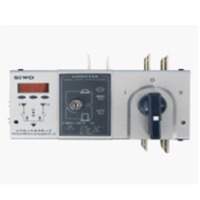 Stainless steel waterproof control unit with automatic heating; 7. High-pressure guns for water supply; 8. Guns for the application of foam; 9. Stainless steel guns holders; 10. Anti-frost system; 11. Power cabinet; 12. 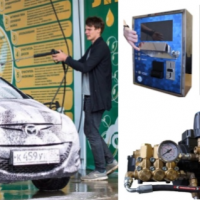 Software for the management of the washing complex and statistics output, with the possibility of connecting remote access, JCM module, on-line cash register, etc. The equipment allows changing tariffs on all of the terminals (adjusting the cost per minute of each program and charging the "Pause" button). A&s automation co., ltd. Can provide all models of danfoss frequency converter. In addition we supply world's leading frequency converters as belows: abb Variable frequency drives, adleepower vfd, allen-bradley vfd, baldor Vfd, bosch rexroth frequency converter, convo frequency converter, danfoss Frequency converter, delixi frequency converter, delta vfd, eaton Vfd, emerson vfd, fuji vfd, ge vfd, hitachi vfd, holip vfd, huanyang vfd, keb Vfd, leeson vfd, lenze frequency converter, ls vfd, magnetek vfd Drives, mitsubishi frequency converter, moeller vfd, omron vfd, panasonic Vfd, parker vfd, powerflex vfd, robicon vfd, sanken vfd, schneider Vfd, seoho, frequency converter, sew vfd, siemens vfdtaian frequency Converter, tecorp vfd, teco-westinghouse vfd, telemecanique vfd, temco Frequency converter, toshiba vfd, vacon frequency converter, weg vfd Drives, westinghouse vfd, yaskawa vfd drives. A&s automation co., ltd. Can provide all models of mitsubishi frequency converter. In addition we supply world's leading frequency converters as belows: abb Variable frequency drives, adleepower vfd, allen-bradley vfd, baldor Vfd, bosch rexroth frequency converter, convo frequency converter, danfoss Frequency converter, delixi frequency converter, delta vfd, eaton Vfd, emerson vfd, fuji vfd, ge vfd, hitachi vfd, holip vfd, huanyang vfd, keb Vfd, leeson vfd, lenze frequency converter, ls vfd, magnetek vfd Drives, mitsubishi frequency converter, moeller vfd, omron vfd, panasonic Vfd, parker vfd, powerflex vfd, robicon vfd, sanken vfd, schneider Vfd, seoho, frequency converter, sew vfd, siemens vfdtaian frequency Converter, tecorp vfd, teco-westinghouse vfd, telemecanique vfd, temco Frequency converter, toshiba vfd, vacon frequency converter, weg vfd Drives, westinghouse vfd, yaskawa vfd drives. A&s automation co., ltd. Can provide all models of siemens frequency converter. In addition we supply world's leading frequency converters as belows: abb Variable frequency drives, adleepower vfd, allen-bradley vfd, baldor Vfd, bosch rexroth frequency converter, convo frequency converter, danfoss Frequency converter, delixi frequency converter, delta vfd, eaton Vfd, emerson vfd, fuji vfd, ge vfd, hitachi vfd, holip vfd, huanyang vfd, keb Vfd, leeson vfd, lenze frequency converter, ls vfd, magnetek vfd Drives, mitsubishi frequency converter, moeller vfd, omron vfd, panasonic Vfd, parker vfd, powerfl ex vfd, robicon vfd, sanken vfd, schneider Vfd, seoho, frequency converter, sew vfd, siemens vfdtaian frequency Converter, tecorp vfd, teco-westinghouse vfd, telemecanique vfd, temco Frequency converter, toshiba vfd, vacon frequency converter, weg vfd Drives, westinghouse vfd, yaskawa vfd drives. Nanjing Invoee Technology Co., Ltd.
DNV360/DNV310/DNV300 series inverter is a high-quality, multi-function vector control inverter. Flux through the motor current and torque current decoupling control, to achieve a rapid response and accurate torque control, high precision operation for a wide range of speed and torque control. The new hardware platform, scientific production technology and self-developed special debugging testing equipment to ensure the product more stable and reliable in below applications. Metallurgy, petroleum, chemical, textile, electric power, building materials, coal, medicine, food, paper, plastics, printing, lifting, cable, washing, water, heating, sewage treatment and other industries, machinery and equipment for: drawing machine, mixer, extruder, slitting, winding machinery, compressors, fan pumps, grinders, conveyors, hoists, centrifuges, and a variety of mechanical speed. Low frequency 180% large torque 3-hall hardware protected Waves current limit. Over-load, over-torque protection. Extensive expansion and interface Rich industry application of expansion card 11 digital input / 4 digital output 2-way AD/ 2-way DA Digital voltage/ pulse given/ rotary encoder Powerful communication function Drino standard Modbus Optional industrial application Modbus SAE 1939 of HEVBUS CAN Siemens Pribus DP A key shuttle double-keyboard control Local/ Remote Multi-language text display 8 group of control parameters storage Application filed: Metallurgy, petroleum, chemical, textile, electric power, building materials, coal, medicine, food, paper, plastics, printing, lifting, cable, washing, water, heating, sewage treatment and other industries. Machinery and equipment for : drawing machine, mixer, extruder, slitting, winding machine, compressors, fan pumps, grinders, conveyors, hoists, centrifuges, and a variety of mechanical speed. Fan and pump type frequency inverter/ ac drive 380v/220v, three phase/ single phase, 50/60hz input, 0-400hz output. Control terminal analog voltage output, current output , digit output, impulse output, voltage, current , impulse , communication and other multi frequency setting modes. Also can realize the overplay function for all kinds of given source, and the frequency control mode is very flexible.